Stretching the One Income Dollar: Logojoy Shares "How To Create Your Logo"
Logojoy Shares "How To Create Your Logo"
Your company logo is a visual corner stone of a company’s brand which allows you with the use of a combination of text and visual imagery to tell people the name of your company and creates a visual symbol that represents the face of your company and business. You want your logo to be a powerful symbol that associates your business in peoples memories with the use of colors, fonts and images. For example, some excellent logos that have stood the test of time is the Nike swoosh, Apples famous apple and of course Target’s red bulls eye. Having said that a logo should be potent enough to identify a brand, make it stand out and, ideally drive customer interest and sales. 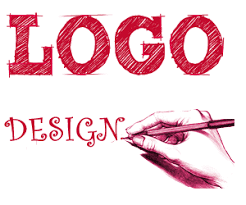 As you can see there are many factors that go into the creation of a logo. I have found a great company called Logojoy which has put out a great resource called ‘How to Make A Logo’ which takes some of the mystery out of getting the right logo for your new business where you can work endlessly on your logo until you achieve perfection with Logojoy to get the right logo for your business and to bring your brand to life all for FREE; once you have decided on the final cut you can then you can pay for it and download it and start using it immediately. High resolution logos that are crispy and ready to use available in PGN files that can be used for websites, presentations, letter head, business cards and so much more. Vector files SVG and EPS files that allow you to scale your logo up or down to any size without pixelating making your logo perfect for print. Color options; your logo can go on colored and transparent backgrounds including a black and as well as a whilte version. Brand guidelines; a downloadable resource with fonts and colors to use in your logo so you can achieve consistency for that winning logo. Social media kit that has 40+ sized versions of your logo for all your social media accounts like facebook, twitter, instagram etc. Full copyright ownership; once your logo is purchased you own it; and it’s ready to use for commercial or non-commercial uses. Lifetime phone support; logojoy is there to help you no matter what your needs are from helping you access files, tweaking your design or just even getting started. Guaranteed unique; logojoy does not use templates but have AI technology that creates new unique logos for every one of their customers. Endless mockups; they allow you to generate as many logo ideas you want for free. This allows you to experiment until you achieve perfection and you’ll only pay for that perfect one when you’re ready to download. It’s amazing how much money you can save and how much you can learn using Logojoy that can be used in all your business designs.